After weeks of speculation, rumors, and outright leaked reports from various outlets, Lollapalooza 2016 has finally released its lineup. 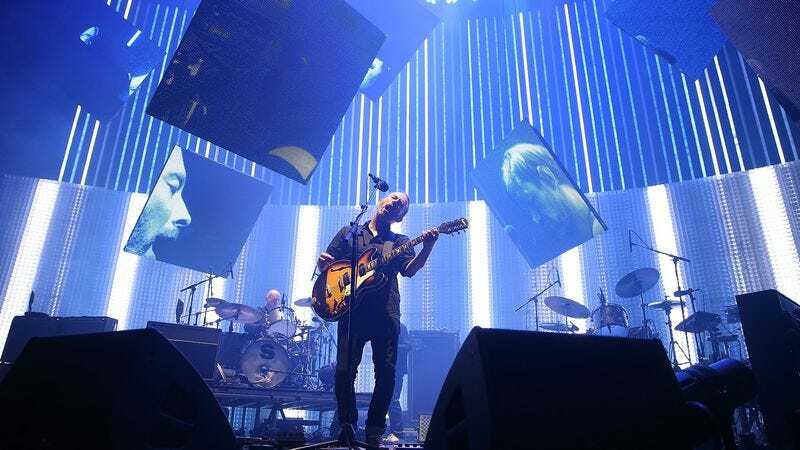 Confirming that all those “industry sources” that have been getting quoted of late were right on the money, the Chicago-based festival—set to kick off on July 28—will be headlined this year by Radiohead, as part of its recently announced string of U.S. shows. The British alt-rockers will be joined by LCD Soundsystem, Red Hot Chili Peppers, and dozens of others as the festival prepares to celebrate its 25th anniversary. Four-day passes to the show, which is held in Chicago’s Grant Park, have already sold out in advance of the lineup announcement, but 1-day tickets will go on sale this morning at 10 AM Central. You can see the full line-up for the shows on the announcement poster below, or go to Lollapalooza’s web site to see a day-by-day schedule to better plan your festival trip.